This review walk you through the differences on these three grills and show you a few accessories and modifications that folks have used to make these great little grills even better. Let’s go through the specifications of these grills and spot some differences. 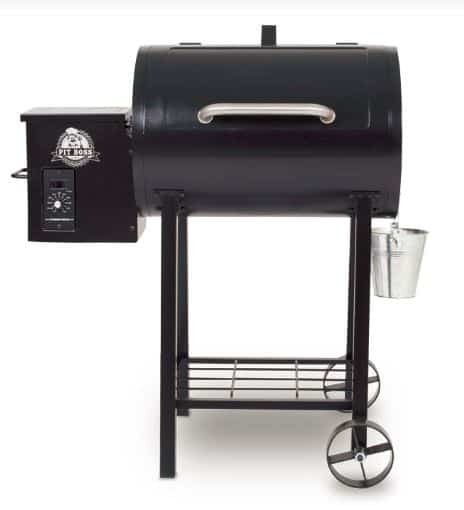 The Junior Elite 20 is the base version of these three grills. 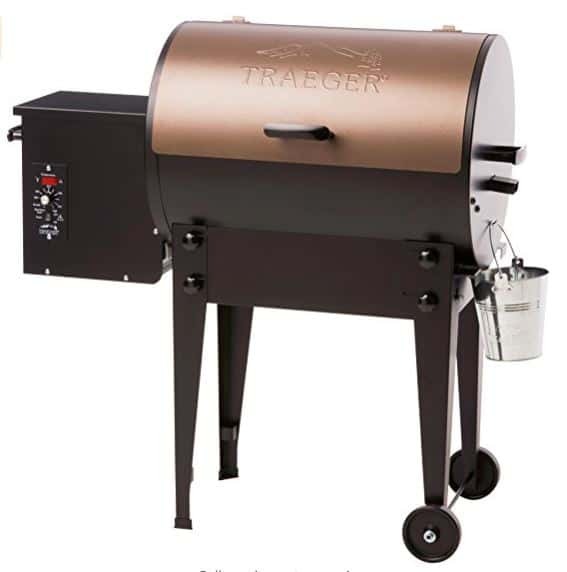 These grills are all slightly smaller than the Renegade Elite and have the same grate size, control panels, grease tray configuration and warranty. The Tailgater 20 is identical to the Junior Elite 20 with one exception. The legs on the Tailgater 20 can be collapsed so the grill can be placed on the tailgate of a truck, etc. The Bronson 20 has a few differences worth noting. The biggest difference is that the pellet hopper holds 10 pounds of fuel compared to 8 on the Junior Elite and Tailgater. The frame on the Bronson is a little beefier and this is reflected by the grill being about 15 pounds heavier. I called Traeger to see if they could explain what made the fire pot on the Bronson fundamentally different from all of their other grills. The service rep explained that a pellet grill doesn’t use charcoal or propane (Oh, really? Who knew??) and since there wasn’t an open flame it was HOA approved. I have watched hours of YouTube and searched every Facebook Group and barbecue forum. Everything that I have seen and read indicates that the fire pot and heat deflector are the exact same on the Bronson as on the Junior Elite and Tailgater. When it comes to being “HOA Approved” I think Traeger is just trying to blow smoke up people’s butts. But hey…if having that stupid phrase marked on a box helps some poor soul get this grill past an HOA then more power too them. Here is a look at the official Bronson promo video. I had the chance to put my hands on the Tailgater 20 and I have to say that I liked the look and feel of the unit. The grill comes with the standard fire pot, heat deflector and grease tray found in the larger Traegers and is styled pretty nice. Despite the small overall size of the grill the actual cooking area is relatively large. The 20 x 15 inch grate provides 300 usable square inches of grilling space. For comparison an 18.5 inch Weber kettle gives you 240 square inches while a 22.5 inch kettle provides 363 square inches. An important detail to consider though is that if you are smoking ribs or a brisket on a 22.5 inch kettle you can’t actually use the entire grate surface since you are going to have to bank the coals for indirect cooking. So in terms of usable space you get more area on the Tailgater than you do on a 22.5 inch Weber kettle. The Tailgater definitely has room in there for three slabs of baby back ribs. You could probably fit six slabs if you used rib racks. You could also stick a 15 pound brisket in there pretty easy. There are some standard accessories that you should look into if you are thinking about getting one of these grills. All of the models are improved by the addition of an external shelf and a thermal blanket helps with cold weather grilling. If you are feeling handy then you can do a few modifications to add more flexibility to your smoker. Here are a few ideas to get you started. 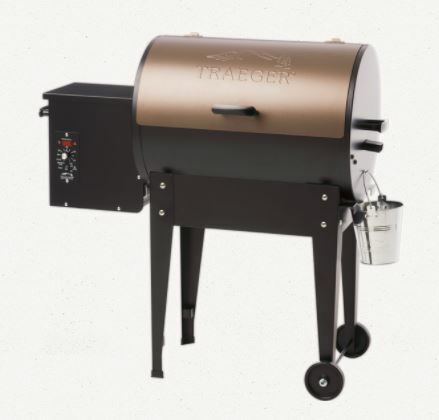 If you are just looking for a small, affordable pellet grill and are not brand loyal to Traeger then you ought to take a look at the Pit Boss 340. The business model behind Pit Boss pellet grills is to steal Traeger’s market share by selling a good grill at cheap prices. The Pit Boss 340 is almost identical to Traegers Junior Elite and Tailgater with the following differences. 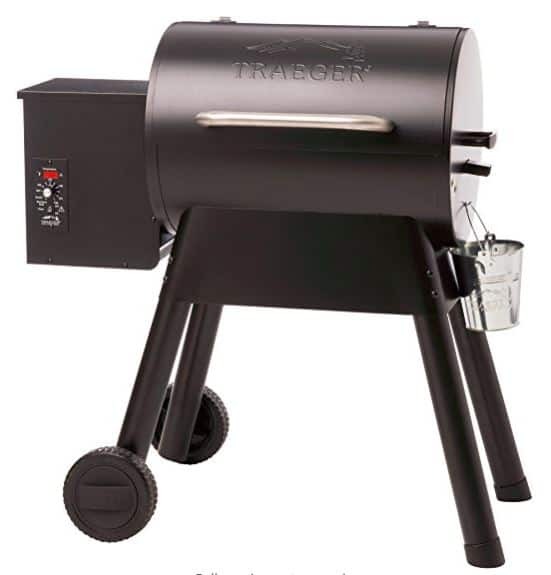 The Pit Boss has 340 square inches of grilling space instead of the 300 you get with the small Traegers. 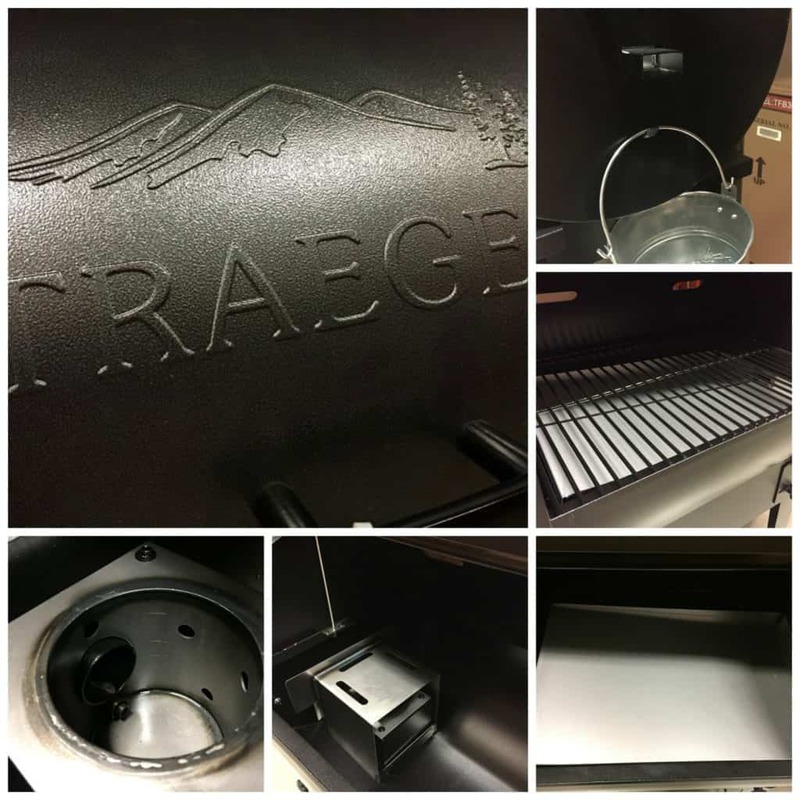 The Pit Boss has a one year warranty instead of the three years you get with Traeger. The Pit Boss has a five pound pellet hopper instead of the eight pounds you get with Traeger. I like the idea of collapsible legs, but they all look very flimsy. looks like just another thin sheetmetal bbq Smoker.